File sharing has become immensely easy over the past few years, thanks to the fast internet availability in many parts of the world, and services like SkyDrive and Dropbox. In addition, such services also provides them with virtual cloud storage to back up their content as well as access it remotely over the internet. But what we know about the most popular cloud services – you may be wondering what a free cloud storage service is right for you. There are countless comparisons, but most of them are focused primarily on the size of the cloud, without paying enough attention to other parameters. The native desktop and mobile apps are very important part too – for are easiest way to store, protect, and share files from your phone or PC. 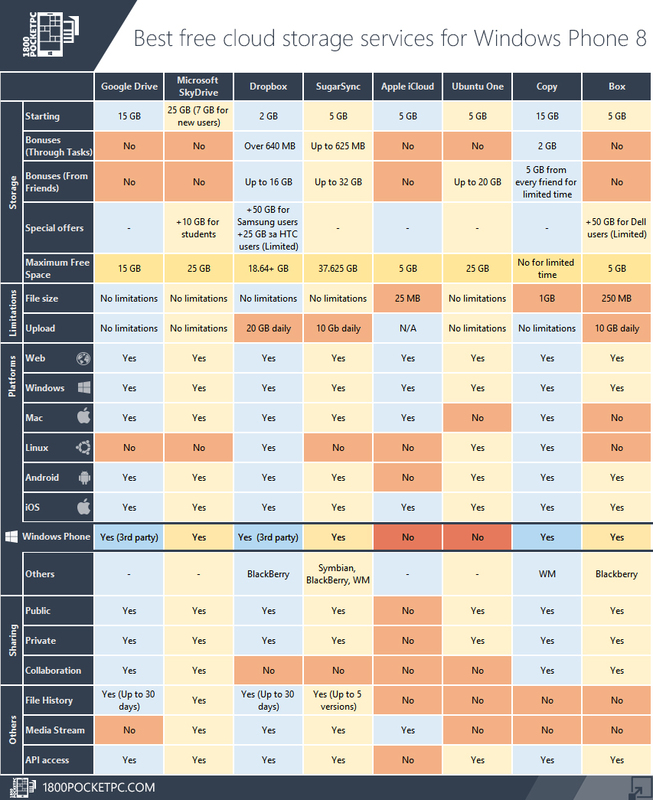 This table should help you get started with choosing the free cloud storage and sync service that works best for you. SkyDrive is the best for me – it’s bigger than the rest and can be used on any device out there. I use it every day for backup and sync. Microsoft announced another set of improvements to the SkyDrive cloud storage service, adding support for a wide range of useful new photo and sharing capabilities to the web interface at SkyDrive.com, including OCR Capabilities – you can extract the text from photos in your cloud-based camera roll – such as from a product label, sign, plaque or other item—and then use them elsewhere. And Copy is one of the latest cloud services that managed to break through – the service makes file sharing as well as collaboration simple and intuitive and it’s available for all desktop and mobile systems. Finally the Windows Phone 8 app is here and this make Copy one of the best cloud services too. Currently Copy give 15 GB free storage plus 5GB for every referral you made. 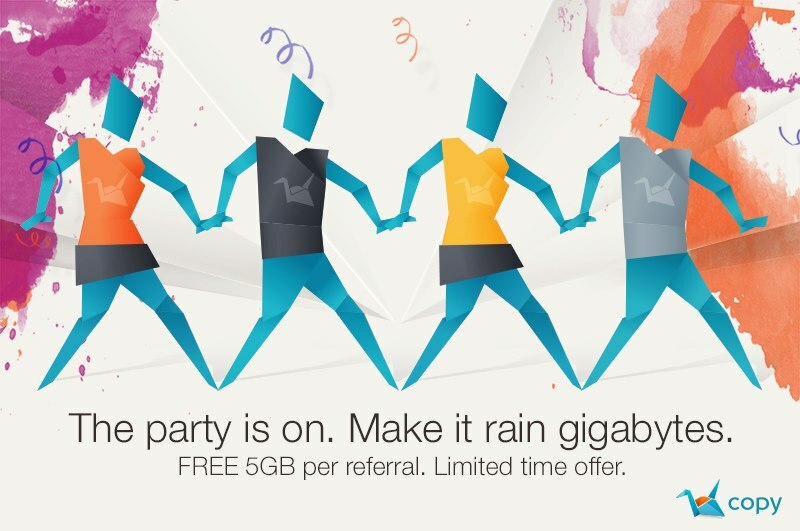 Get 15+5GB now – If you install desktop or mobile app – you will earn an extra 5 GBs for completed referral! Don’t forget email verification. The data for the table is taken from the official cloud’s websites, but there may be inaccuracies or errors. Not all cloud service are included. If you notice something, write in the comments below.